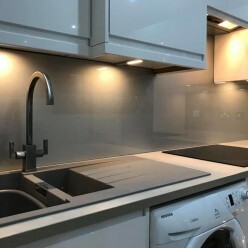 Our kitchen and bathroom splashbacks can be manufactured using 6mm clear toughened glass. The strength of this product is that it is durable, heat resistant and provides a glossy finish. 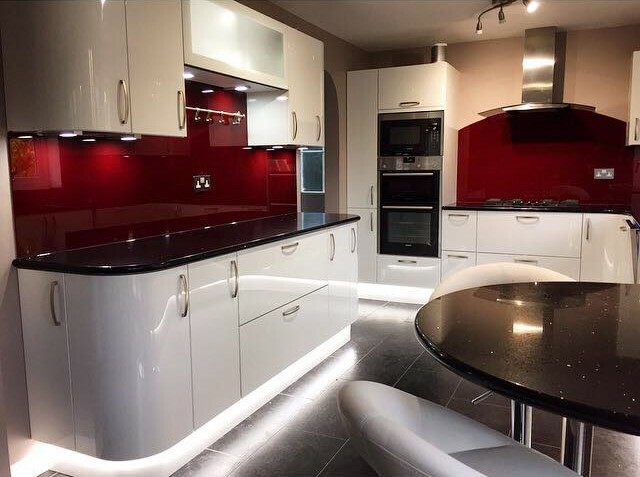 All of these strengths coupled together make this materiel a perfect choice for your bespoke splashback. 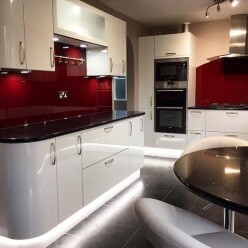 There is another product that we can offer and it is called 6mm low iron clear toughened. This glass has had a lower iron content added to it during the manufacturing process. 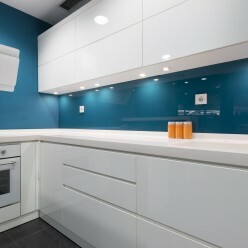 Allowing you a more accurate representation of your chosen colour and awarding you a crystal clear splashback. Both of these products are identical in that they are processed in exactly the same way. 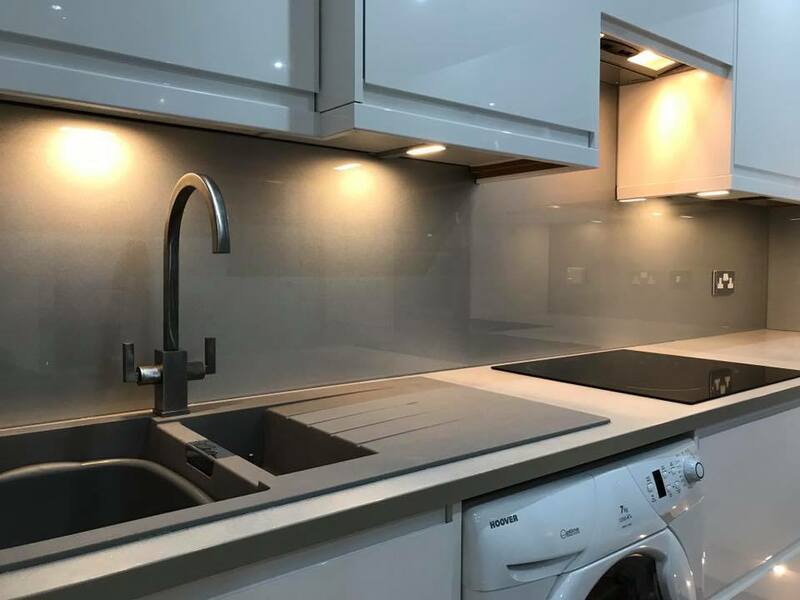 Apex Glass and Glazing is able to provide you with multiple socket cut outs, curved edges and radius corners to suit your individually designed kitchen or bathroom. 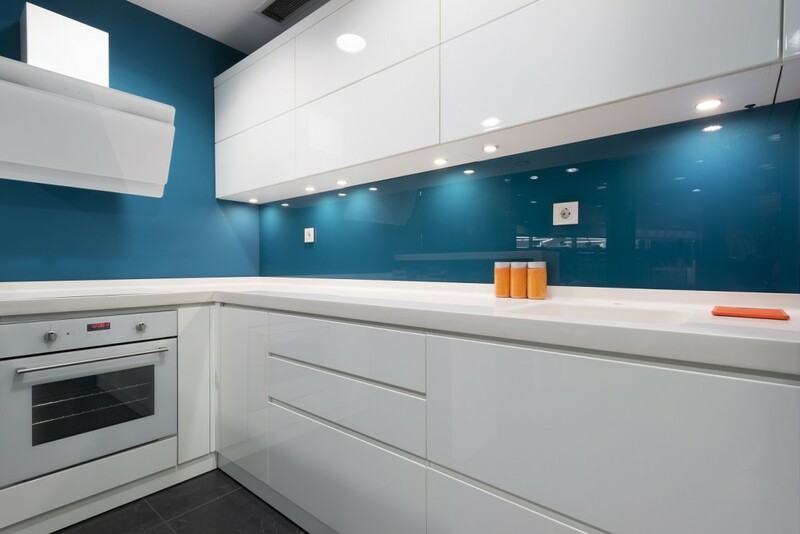 All you need to do is choose which type of glass you require.